Designers Ashima and Leena Singh,need little mention of their strengths. Their almost 20 years old rock-solid label has been truly dedicated to the amalgamation of the periodic trends with modern times and has achieved applause from all across. This time around, the breeze of fresh air was bought in by Rhea Singh, daughter of Leena who made her official debut with the bridal collection, she will be a newest face of this legendary label. 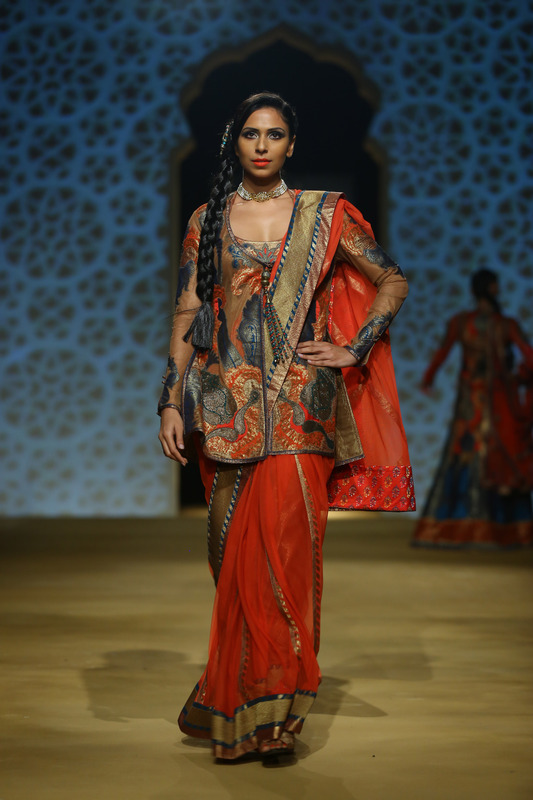 With the incorporation of Rhea’s new strategic planning skills, Ashima –Leena focused on Mughal influenced styles and techniques for their collection. 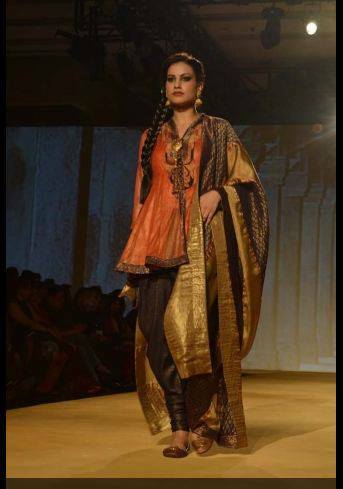 The whole traditional-classical look of the ensembles was further enhanced by side-braids which the models flaunted. The collection showed Dhotis which were teamed with short kurtas and sheer jackets with intricate zardosi work. Another set of the collection was in soft greens, fuschia pinks with fine gota-patti work. Sharara pants, transparent embroidered pyjamis in pietra-dura motif teamed with short anarkali were few highlights of their collection. 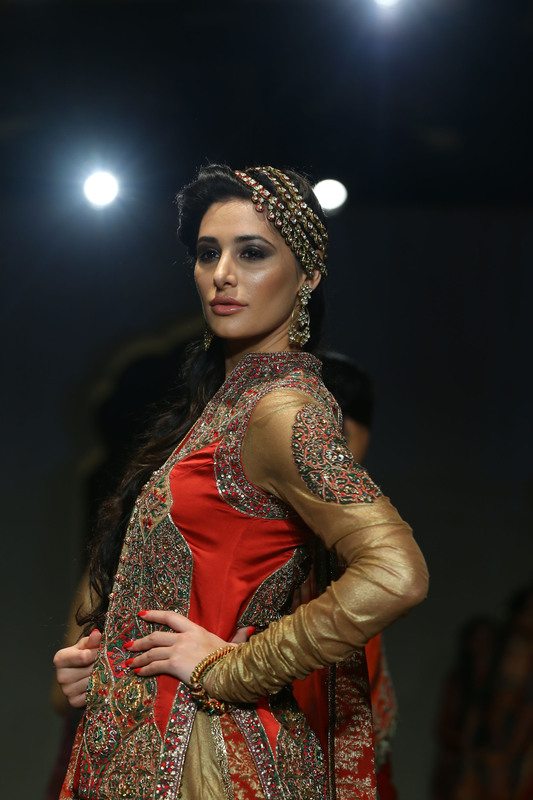 Nargis Fakhri in royal red jacket with intricate zari work and shimmery lehenga concluded the show on high for them. 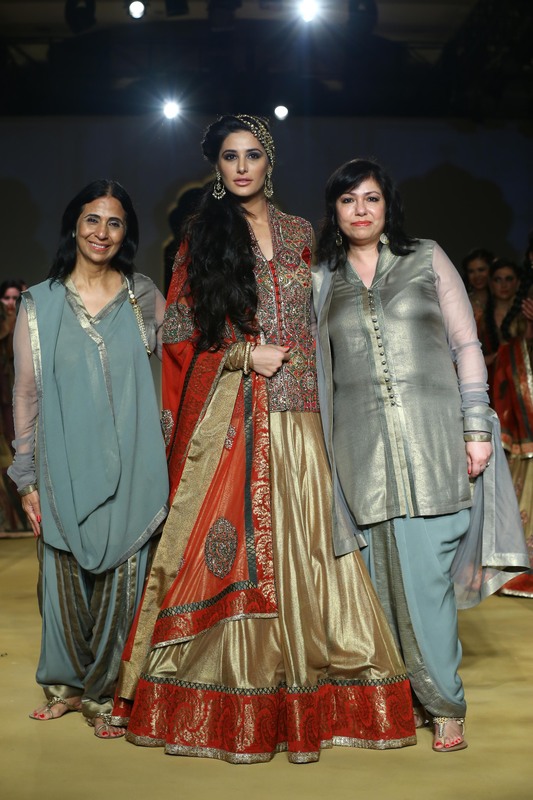 This entry was posted in Uncategorized and tagged Ashima Leena, India Bridal Fashion Week, Indian Designers, Indian Fashion, Lehengas, Models, Sari, Style, Wedding Trends. Bookmark the permalink.